How many of us wash our brushes once in a blue moon, then recoil in horror at all the dirt that comes off? You tell yourself you'll do better from now on, but does it happen? No, not for me. 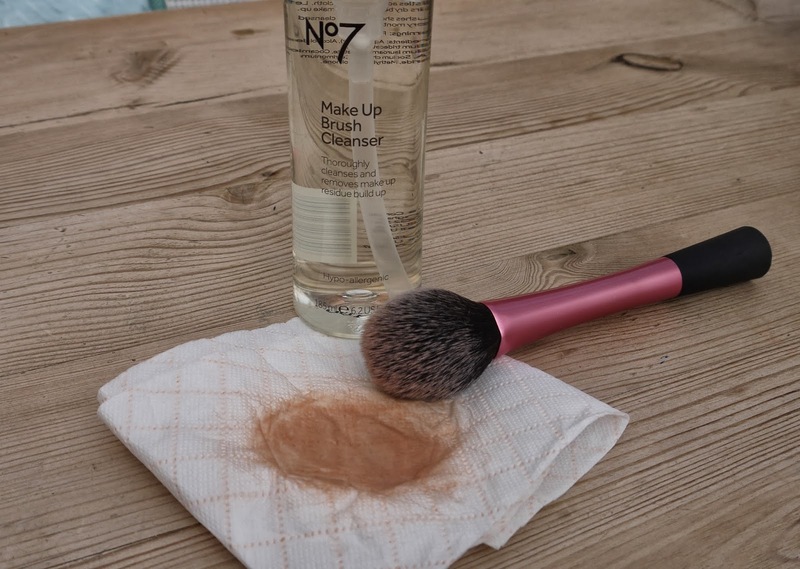 Introducing the lazy girl's brush cleaner... No7 Make Up Brush Cleaner. This product is a quick fix for when you don't have time (or can't be bothered) to wash them properly. 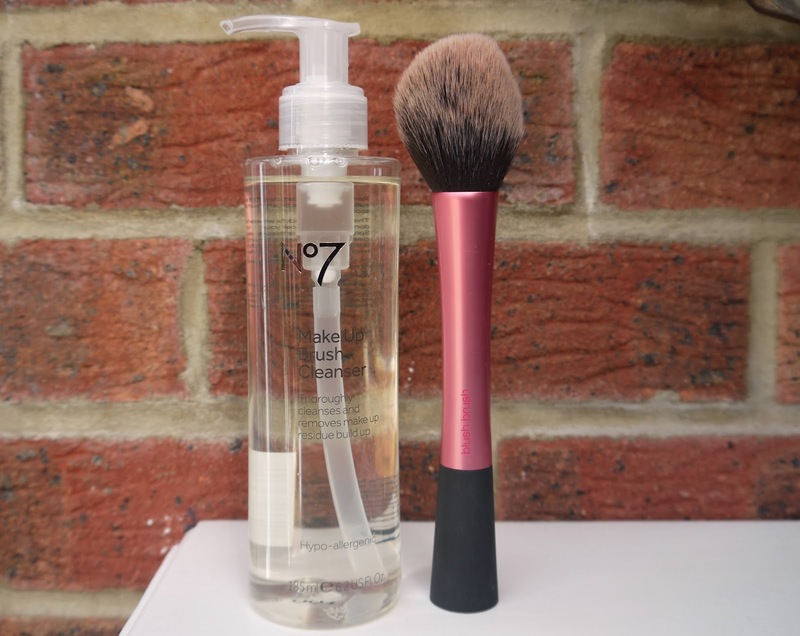 It's not a deep clean but it does remove make up particles from both natural and synthetic brush hair, sanitizing brushes and keeping them cleaner for longer - think of it as the dry shampoo for the brush World. How to use? Simply dispense a pump or two onto a tissue or kitchel towel and sweep the brush over the damp tissue - watch as the dirt transfers onto the tissue. It leaves brushes clean, sanitized and refreshed. As well as lazy girls, it's also a great product for makeup artists, anyone who shares brushes and anyone that suffers with spots, because let's face it, sweeping a dirty brush over your skin isn't going to help. No7 Make up Brush Cleanser £8, available from Boots here. Even better if you have a No7 voucher, it will cost just £5, holla to that. I've used this for spot cleaning lately and like you say it is a great quick fix between the deep cleaning. 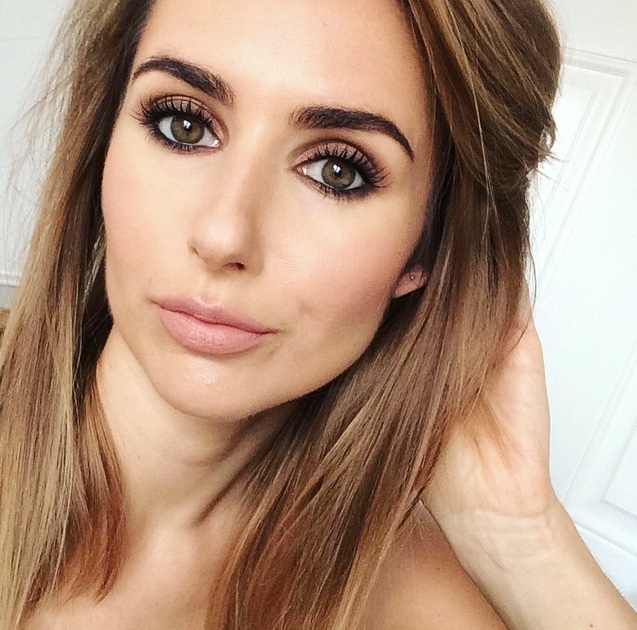 It's always so nice to hear other bloggers who are lazy with brush care. We're all human!